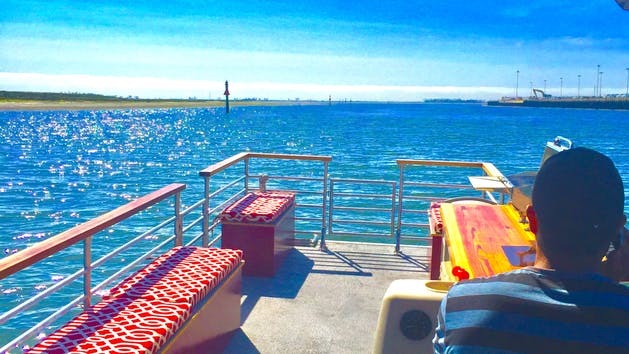 Our Deluxe Pontoon Boat is great for picnics and family outings on Coronado. 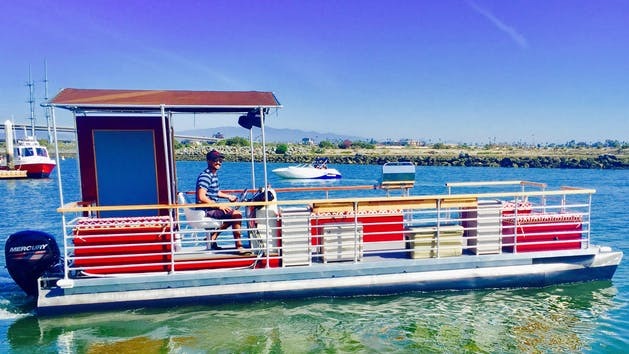 Holding up to 12 passengers - with padded seats and bimini top - pontoon boats are perfect for leisurely tours of the bay for your mid-sized group. Complete with BBQ, Cooler, restroom, speaker system, and comes with Captain .